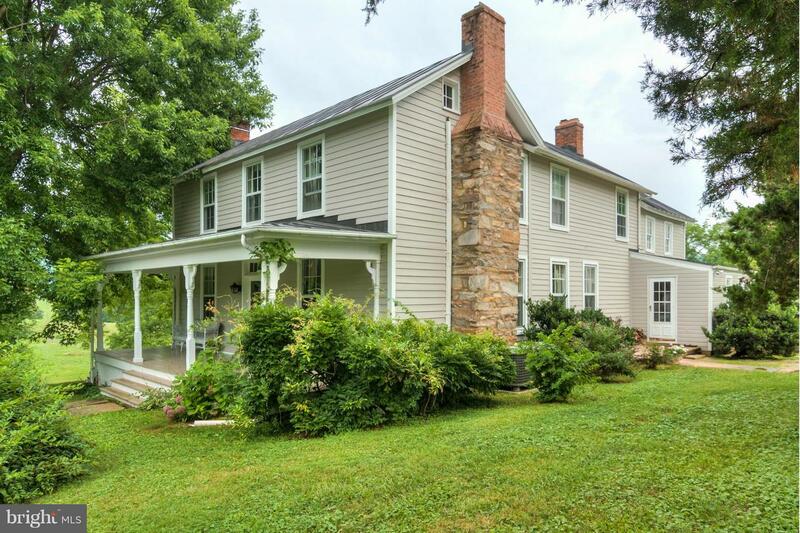 Restored 3 bedroom 1830's farmhouse on 65 acres. Multiple porches & fireplaces, lots of charm, lovely pool, shared pond, 4 stall barn, workshop, expansive mountain views, rolling open pasture & fully fenced elevated land. Gorgeous setting in the protected valley between Middleburg and The Plains. Conservation easement permits 2 more homes to complete the compound - Property can not be divided.